”"We have been exploring how we can elevate the company and expand our programs to the community,"
CLEVELAND, Ohio -In keeping with its active name, Cleveland’s Verb Ballets is moving. 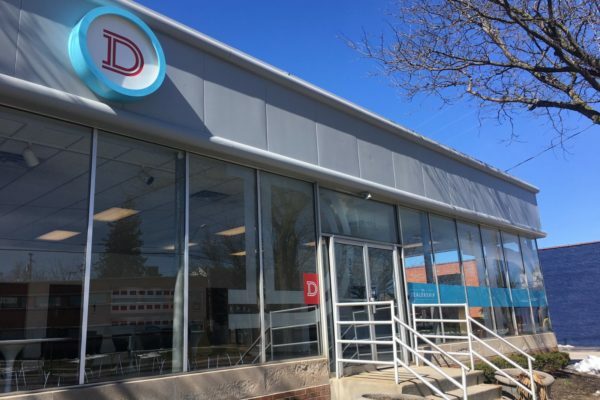 Earlier this week, the troupe headed by Margaret Carlson announced that it is relocating a few blocks west and entering The Dealership, a cooperative workspace in a former automobile outlet and repair shop on Lee Rd. near Chagrin Blvd. The new space affords the company significantly more room and outreach opportunity than its current home of nearly 10 years, the lower level of Christ Episcopal Church, Carlson said. In addition to space for rehearsal, the new 6,000-square foot studio includes dressing, storage, reception, and office space. The new space also will allow the company to present work on site, instead of renting space for performances, and launch a series of classes in dance, creative movement, and wellness.